You may remember GMAC Bank, which was taken down by its fateful mortgage arm Residential Capital (ResCap) before eventually requiring a government bailout. It wasn’t an uncommon story at the time; many other mega mortgage companies took a fall too, including the likes of Countrywide and IndyMac, to name but two. Once the company recovered from the financial crisis, it rebranded itself as Ally Financial, offering auto loans and high-yield savings accounts. Those businesses seemed like a safe way to dip their toes back in the lending waters. The auto loan portion of the business actually runs deep in its history seeing that GMAC stood for General Motors Acceptance Corporation. So you knew they were going to get back into that business, but the mortgage business was still a big question mark. Somehow these large companies have a way of reinventing themselves, with fresh new names and logos that can make us all forget the ugly past very quickly. And so without further ado, say hello to “Ally Home,” which is the company’s new direct-to-consumer mortgage offering. It’s yet another home loan option available to borrowers in the post-crisis mortgage world. In line with the name change, they seem to want to be your buddy in the financial world, hence the word ally. And they deploy a so-called “Home Team” to help you get your mortgage. What Does Ally Home Offer? Like other mortgage lenders, Ally offers both purchase and refinance mortgages, including rate and term and cash-out refis. So whether you’re buying a home or simply looking to improve your existing interest rate/tap equity, they’ve got you covered. Additionally, Ally Home offers both conventional and jumbo mortgages, the latter of which are above the conforming loan limit of $417,000 (soon to be $424,100). And now $453,100! In terms of mortgage choice, you’re able to get a 30-year or 15-year fixed, along with less common varieties such as the 25-year, 20-year, and 10-year fixed. The company also offers a typical selection of hybrid ARMs, including the 10/1, 7/1, and 5/1 ARM. The only obvious absence if the 3/1 ARM. So they’ve basically got you covered when it comes to home loan options unless you’re looking for something super unique. One thing I appreciate about Ally is the fact that they openly advertise their mortgage interest rates, unlike a lot of other lenders. So they win on transparency right off the bat. Now let’s determine if the advertised rates are any good. As of the time of this writing (August 1st, 2018), Ally Home Loans was offering a rate of 4.75% on a 30-yr fixed with -0.22 mortgage points, with lots of assumptions like excellent credit, a $300,000 loan amount, and a minimum 20% down payment for a single-family home. That negative amount of points means you get a credit toward closing costs, which is a good thing since a lot rates often require that you pay points out of your pocket at closing. Interestingly, their jumbo mortgage rates seem to be significantly cheaper than their conforming ones, so it might be a good place to send a larger loan if you’ve got your eye on a particularly expensive property (or already happen to own one). For example, they were offering a rate of 4.375% on a 30-year fixed for the same assumptions above, except for a loan amount of $650,000. Technically that’s just a high-cost conforming loan amount, but I won’t get into all that. The point is they seem to specialize in larger loan amounts and offer really competitive rates on that front. But even if their rate isn’t the lowest, they offer a so-called Price Match Guarantee where they’ll lower their rate/points to match those of a competitor. Oddly, they won’t go the extra step and beat them…hmm. 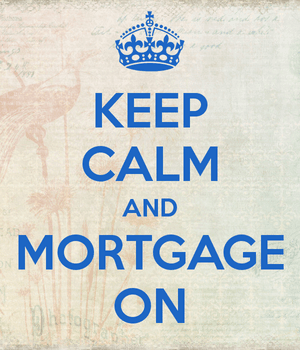 Unlike a lot of mortgage newcomers, Ally Home wants to be super involved with you throughout the underwriting process. This runs counter to some of the fintech startups that cater to Millennials who apparently don’t ever want to speak to another human, ever. That’s totally fine, but it appears Ally wants to bring back the human element and focus heavily on customer service with its group of loan advisors, loan coordinators, and closing coordinators known as the Ally Home Team. This will include dedicated support, frequent loan updates, online access to all loan-related documents from any device, and a variety of communication options like text, phone, or e-mail. Ally Home has also partnered with LenderLive to handle mortgage fulfillment, settlement and document services in an expeditious and compliant manner. The hope is to provide the best possible mortgage experience by combining the best people with the best technology in the industry. If you’re keeping track, three of the largest mortgage lenders during the prior boom have now risen from the ashes. Former Countrywide execs successfully launched PennyMac, IndyMac transformed into OneWest Bank, and ResCap’s parent company has now introduced Ally Home. It has been a pretty wild decade.